Affiliate marketing at its very centre is all about relationships. In the dynamic world of affiliate marketing, there is an involvement of three different fronts. One is the advertiser, the other is the publisher & the last pillar is the consumer. With the blend of these three, affiliate marketing generates a huge potential to promote and boost up the businesses around the globe. The consumer is the one who can initiate an action by clicking on the ads. It will start from the publisher’s site and further redirect to the advertiser’s main site. admitad is a consistent example of a cost per action i.e. CPA affiliate program, the objective of the CPA program is to provide an edge to the customers by analysing the reliable sources for sales. The affiliate programs also help to revive the standard business models, it makes changes in the grass root level to monetize online traffic. 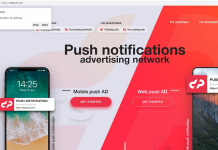 admitad CPA network is providing the advertisers with a deemed access to the added revenue across the world. Advertisers can now gain new customers & will only require paying for real visible results. This well diverse network opens up the array of international sales channels to various agencies & customers around the globe. admitad also offers users with innovative products & worldwide services, it endorses monetization of the online traffic in a splendid way. 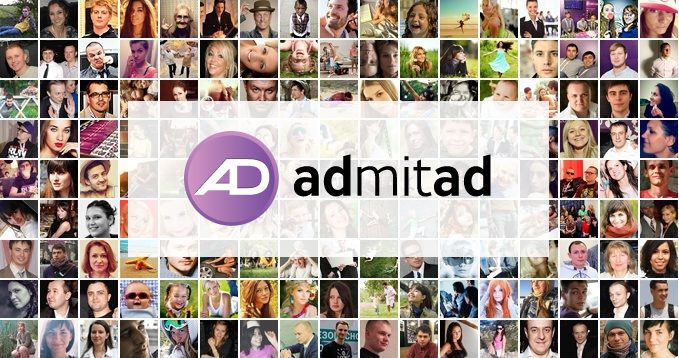 With the help of the extraordinary support, the admitad users can extend its reach to over 1,000 top advertising brands. The company believes in innovation & will to deliver a fair interest rate for each & every client. admitad CPA network is a dynamic affiliate network consisting of 460,000 partners. Many advertisers are trying different regularly provides interesting offers to reach their targeted audience. It seems, admitad is one of the fast growing affiliate marketing network that provides an innovative way to grab more business for the advertisers and affiliate marketing success for the global publishers. 1. Extended Reach Of The Company: admitad has partnered with top class publishers around the globe. According to the current stats, the company working with over 540,000 publishers and partnered with more than 1300 major brands in the global market. The revolutionary admitad made its debut in 2010 in Germany. Due to the extended reach, they successfully surpassed annually 100% total revenue growth. They are one of the high paying affiliate network whose user base largely comes from countries like Russia, USA, European countries, India and more. 2. Personal Mentor: admitad organises mutual meetings amidst the managers and users, it promotes the dependability & gaining clients trust. The company’s service network has been personalised to a greater level. As soon as you sign up, you are provided with a personal mentor. That guy will guide you with insight knowledge about the platform. These personal manager are experts in guiding publisher about the methods of money making, traffic conversions and more. You also get an option to raise a query in the form of a ticket, instant support by the admitad is guaranteed. Overall, The dedicated team of online marketing experts are available for you 24×7. They are well versed in their area of expertise and are fit to guide you at every step. 3. A Wide Range Of Premium Tools: admitad dashboard is installed with a number of exclusive tools that helps you to run a successful affiliate marketing campaign and bring better results. You can have a look at the website under the tools section. Availability of tech,organisational & marketing tools has been ensured by the admitad, this opens up the client to an unprecedented number of users. Some of the major tools available with their dashboard are the anti-fraud plugin, fingerprint tracking, deep linking solutions, cross-device solutions and more. 4. A Huge Number Of Satisfied Customers: The company has a gigantic database of satisfied customers globally; They believes in the fact that humble collaboration is far more better than any regular business relation. So, admitad always focus on developing close relations with the clients for a collective environment. 5. Global offices & diversity: What sounds like a great fact for the enthusiasts is that the admitad is managing Seven worldwide offices. The company operates at a profit & is independently financed. Founded in 2009, till date admitad is delivering success to the clients with its sheer amount of dedication. The headquarter of the admitad is located in Heilbronn, the sub branches of the admitad are located in Belarus, Russia, Switzerland and more. The company already started operation in India with its regional office. 7. Global rank: As we know, there are large number of affiliate marketing network available but what makes a admitad unique solely depends on its strategy & customer satisfaction. admitad has done tactfully great in all the aspects and today the company stands amidst top 10 affiliate marketing publisher in the Germany. 8. Weekly Payout System: admitad CPA network has an expressive policy of initiating payments weekly; the majority of other affiliate marketing players offer a monthly payout to their publishers. But at admitad, the affiliate marketers are paid over a weekly pattern. Major payment gateways are supported and one can get paid by PayPal or its alternatives such as WebMoney, epayments and Bank Wire. They Offers a faster payment turnaround which allows to pay its publishers on validated transactions regardless of when admitad gets paid. It means once you approved, the publisher doesn’t have to wait for the the admitad payout from the advertisers. It’s worth saying, the publishers can have an access to funds withdrawal even with advertiser’s negative balance. 9. Report & statistics: We all can agree over a simple fact that any online business is driven by the stats. At admitad users get detailed & advanced statistics in a simplified manner, the way of expressing the data is pretty comprehensive & alluring. The customers can make an informed decision by analysing the data and can also make minor changes in his/her marketing strategy. The subID tool is a great offering by the admitad, it allows you to study impressions, the behaviour of the clicks in a detailed manner. The data generated by the admitad is exportable to various office tools like Excel and more. One can also export the generated data to the XML formats so as to enable the user to read and utilise it with other external software. There is a great offer running for admitad publishers along. 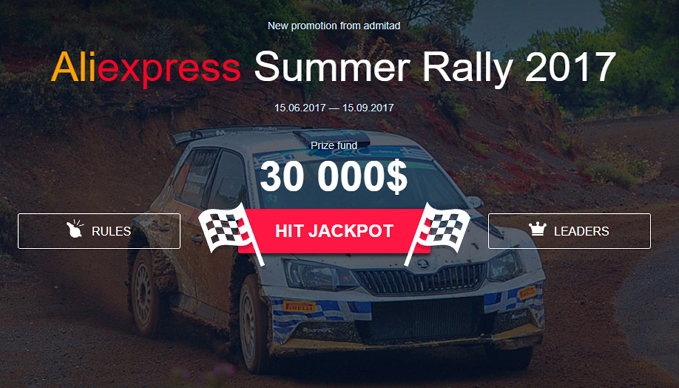 If you still not signed up for the publishes account, you can join and take part in the exclusive AliExpress Hot Summer Rally 2017. The rally features an exotic jackpot prize of $ 30,000. The AliExpress rally is garnering the attention of users, the rally kicked off on June 15 and is scheduled to end in the month of September this year. There will be tri-stage race pattern, each stage is for a single calendar month. What comes as a great news is that the Grand Prix of the 3rd and last stage is $5000. The total prizes in union stand at $30,000. You may join the great Hot Rally by the AliExpress to take benefit of the exclusive deals. Overall, we can jump to an authentic fact that the admitad CPA network is a premium affiliate marketing player in the competitive European market. The company is constantly expanding its boundaries over the Asian & North American regions. The perquisites offered by the admitad CPA network fascinating & gracious, the greatest example can be the weekly payment model. An advanced array of tools is available at your service providing you with a constant edge over your competitors. The company also holds various exclusive programs with the big players like AliExpress, Nike, Adidas, eBay and more. Because of the esteemed services of admitad, several clients have revamped their ordinary businesses into exclusive partnerships. So, this all about – how admitad helping affiliate marketers to get good success in their campaigns. If you already joined, feel free to share your views at below comment box else signup from here.